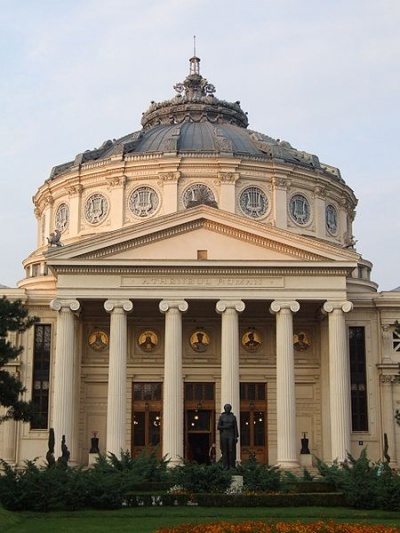 The American Romanian Academy of Arts and Sciences (ARA) is an internationally recognised academic research and educational institution that conducts and supports multidisciplinary studies in exact sciences, mathematics, natural sciences, and also supports the arts, linguistics, literature, political studies and sociology. As an institution its main goal is to foster cultural exchanges between the American and Romanian cultures. ARA was founded in California in 1975 by a group of American-Romanians, and after 29 years in existence has 119 elected members, 81 corresponding members, as well as 59 Honorary Members. ARA sponsors conferences, annual congresses, organizes research projects, and publishes its own peer-reviewed international journal under the title "Journal of the American Romanian Academy of Arts and Sciences. ", as well as an ARA Newsletter for its membership. ARA also organizes educational courses at various times in specific areas such as, for example: Mathematics, Fluid Mechanics, Economics, Romanian and American History, Comparative History of Religions, Romanian Folklore and American Literature correlates, Aesthetics, Folk Dancing, Folklore Quilting and Paintings. The engineering and computing courses organized in collaboration with the Romanian Branch of ARA in Timişoara are especially popular, and attracted large audiences of both students and faculty. ↑ http://www.rochester.edu/news/show.php?id=474 Romanians Meet at University (of Rochester) to Discuss Their "Jewel"
This page was last modified on 3 June 2011, at 18:39.